In the past year, about 43.5 million American adults worked as unpaid caregivers, the bulk of them to an adult age 50 or older, according to a joint study by the National Alliance for Caregiving and AARP. Among its findings, the report indicated that family caregivers spend 24.4 hours per week helping with activities of daily living (ADL), like eating, bathing, using the bathroom, or getting dressed, and that 38 percent of caregivers reported high emotional stress from the demands of caregiving. Caregiving can require more than just helping sick relatives or loved ones with ADL activities. A previous National Alliance for Caregiving survey found that most caregivers spent an estimated $5,531 each year on out-of-pocket expenses for sick family members or for loved ones. At the time, survey respondents indicated that they stopped saving for their own future, deferred home improvement projects, and cut back on leisure activities to make ends meet. Unfortunately, not much has changed in eight years. 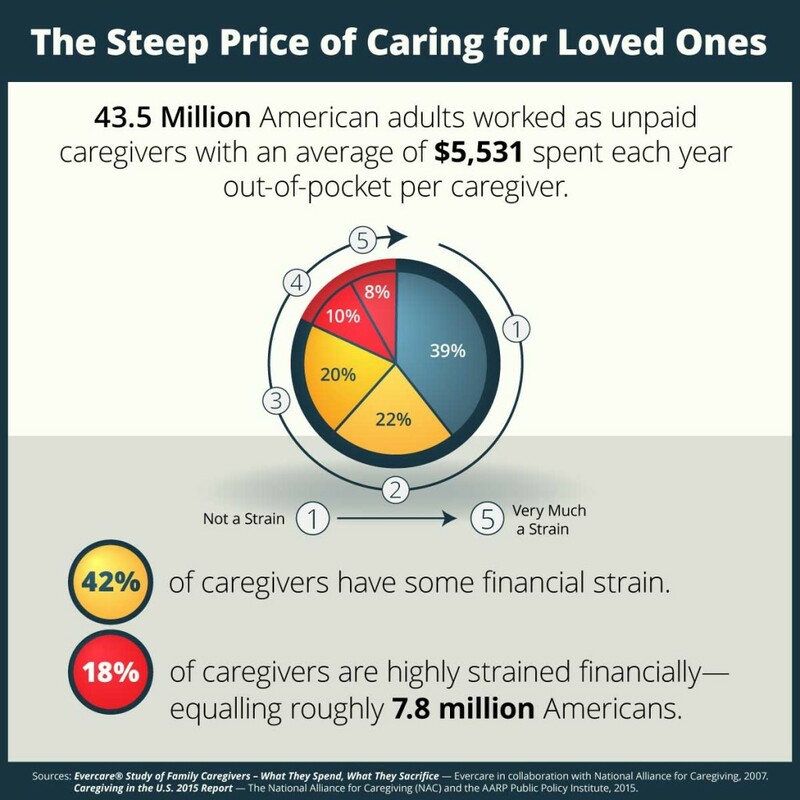 The costs of caregiving can add up quickly. A 2014 Caring.com report stated that almost half (46 percent) of family caregivers spend more than $5,000 per year on caregiving expenses. Absorbing these financial costs are straining their own budgets. Only 28 percent of “sandwich-generation” adults supporting an aging parent and children say they’re living comfortably, while 11 percent say they don’t have enough to meet their own basic expenses, according to the Pew Research Center. In a TD Ameritrade survey, 22 percent of financial supporters said they have had to dip into their savings, and 14 percent have added to their own debt, which is already at an average of $22,000. 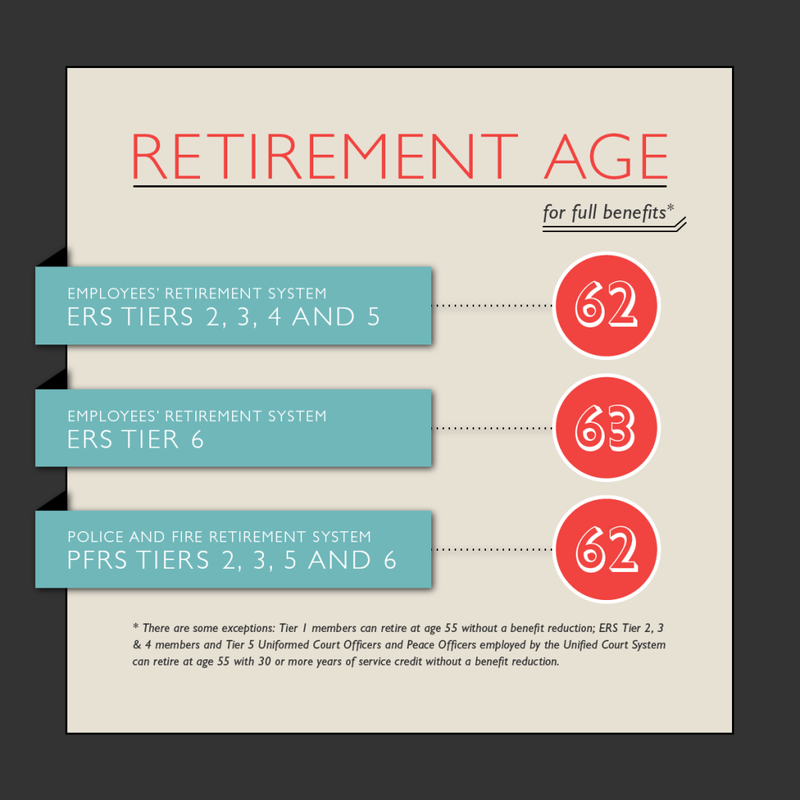 A third have delayed saving for retirement. According to NBC News, if they have to help defray long-term care costs for their loved ones, only 56.5 percent of caregivers aged 60-64 say they are retirement ready. Among workers age 55 to 59, that retirement readiness is at 57 percent. Content last revised October 7, 2015. This entry was posted in General News, Members and tagged AARP, Activities of Daily Living, ADL, caregiver, Caring, ERS, Information is the Key, know your benefits, members, National Alliance for Caregiving (NAC), NYSLRS, personal savings, PFRS, Preparing to Retire, retirement, retirement plan, retirement planning, retirement security, sandwich generation, unpaid caregiver on October 7, 2015 by NYSLRS.